At The Fuller Law Firm, PC, our mission is to help you begin your journey toward financial freedom. If you are drowning in debt and considering filing for bankruptcy, retain the immediate representation of our trusted legal team. When you secure our supportive assistance, we will explain the most common options, their advantages, and disadvantages. Contact our offices in San Jose, Oakland or Salinas for a free, in-depth consultation with an experienced bankruptcy attorney - not a paralegal or legal assistant. When everyone in the world seems to be against you, you need a tenacious ally fighting on your side. Our bankruptcy attorneys in Oakland, CA can give you the strength to combat your creditors. We will help you use your legal rights to protect yourself, your family, and everything you've worked to achieve. Whether you were laid off or injured in an accident and knee deep in medical bills - our resourceful attorneys skillfully negotiate through the California bankruptcy court system to help place you back in control of your life. We have extensive experience with Chapter 7, Chapter 11, and Chapter 13 bankruptcy filings. 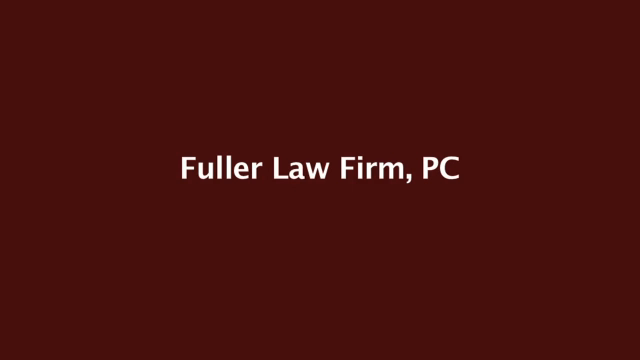 You do not have to be at the mercy of your creditors—The Fuller Law Firm, PC can help. Contact The Fuller Law Firm, PC online or call (408) 465-4472 to schedule a free consultation with a practiced bankruptcy attorney in San Jose. We serve throughout the Bay Area. Our San Jose bankruptcy lawyers will give you the respect you deserve and the breathing room you need to make a fresh start for you and your family. It's time to end your financial distress. No more creditor harassment. No more garnishments of your wages. No more threats of repossession. No more foreclosure actions on your home. No more worrying. No more fear. No more helplessness. We proudly serve the Northern California area through our main office located in San Jose, CA. Additionally, we serve the East Bay Area from our Oakland office and the south from our Salinas office. Hiring the best bankruptcy attorney in Northern California may make all the difference in the outcome of your bankruptcy case. Contact us now for a free consultation to determine the ideal solution for you. Call (408) 465-4472 today.